The photos taken around and during your wedding will be snapshots of memories that will last a lifetime. 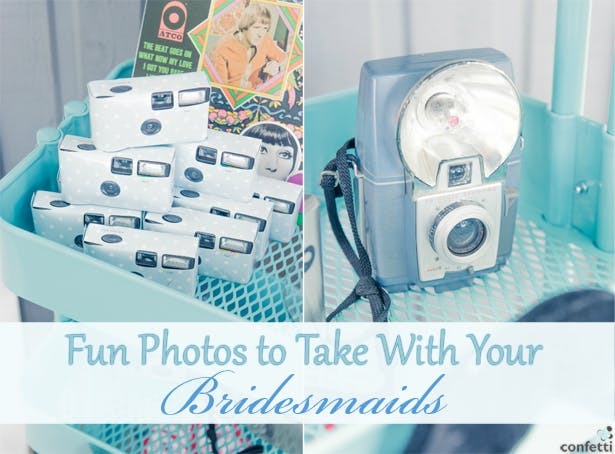 Therefore, your wedding photos are the perfect opportunity to have some fun! 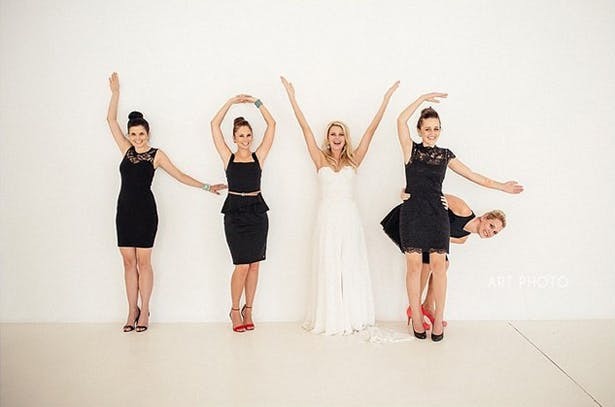 Here are 21 fun photos to take with your bridesmaids. 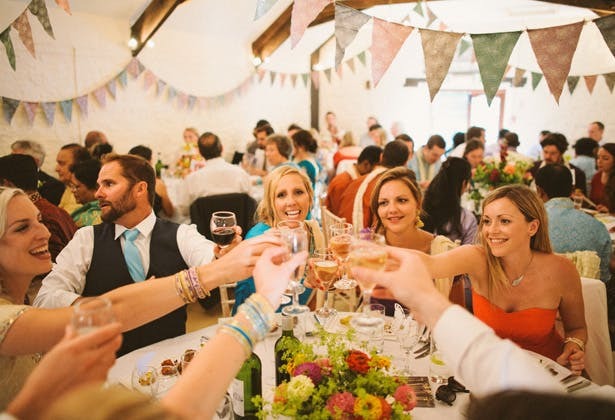 Fun Photos to Take With Your Bridesmaids—browse some cute disposable cameras in Confetti.co.uk’s shop! 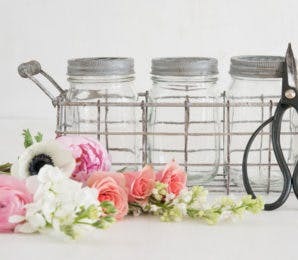 Clothes hangers with your bridesmaids’ names written on them, your bridesmaids’ shoes, dresses, corsages, etc—they’re all cute little ways of incorporating your bridesmaids into a photo that doesn’t actually show your bridesmaids. It’s a wonderful thing when your partner and your bridesmaids are friends, and the photos make a neat little addition to your photo album. 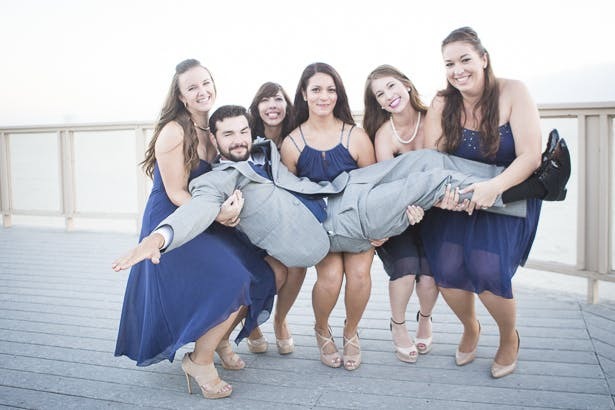 The groomsmen are the groom’s bridesmaids equivalent, and any photos with all of them together is very special—best friends on both sides. 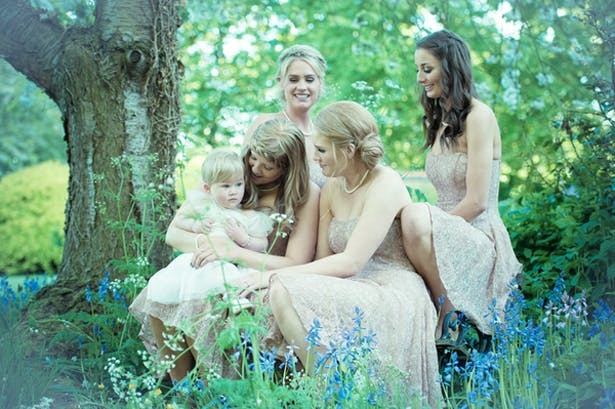 If you’re having flower girls and/or pageboys, add some cute-factor to your wedding album by including them in some photos with you and your bridesmaids. 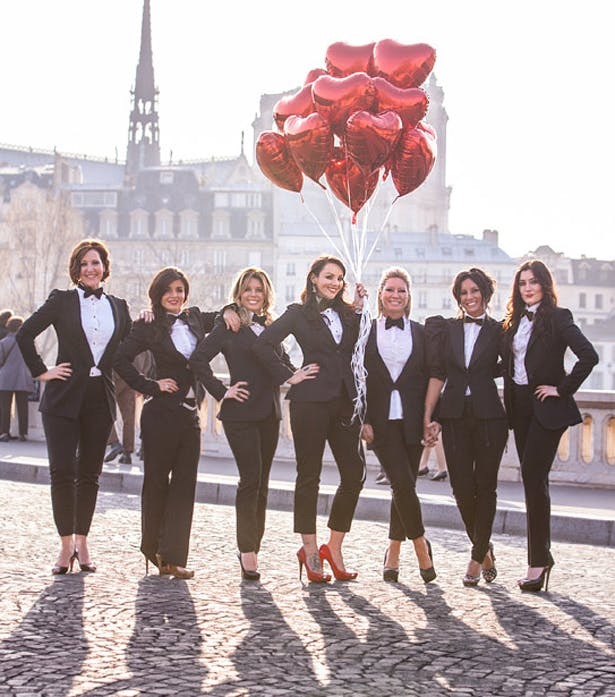 The hen night is a welcome break in the wedding planning; it’s just you and your friends letting your hair down and enjoying some bonding time. This could be a photo of when you first try on your wedding dress in the boutique, or a first look on the morning of your wedding. 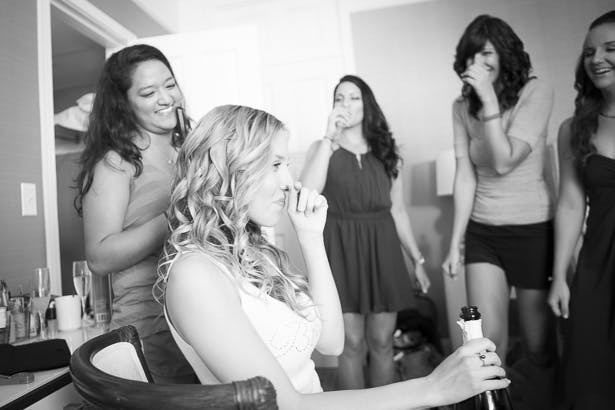 Either way, snapping a photo of your bridesmaids’ reactions will be a great memory to add into your album. 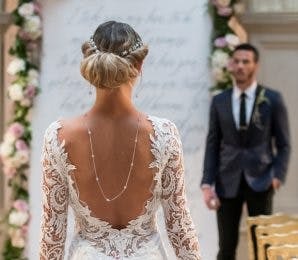 For many couples, photos of the process of getting ready for the wedding is essential—when looking back on the wedding day, they want to be able to relive every moment. 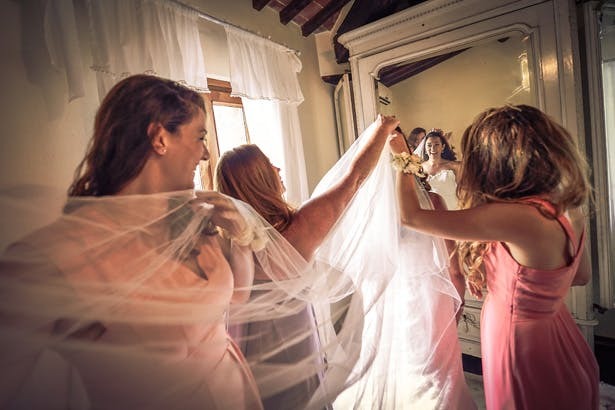 It’s a time of nerves and excitement, and your bridesmaids will be there to help you, so include them in your getting-ready photos. 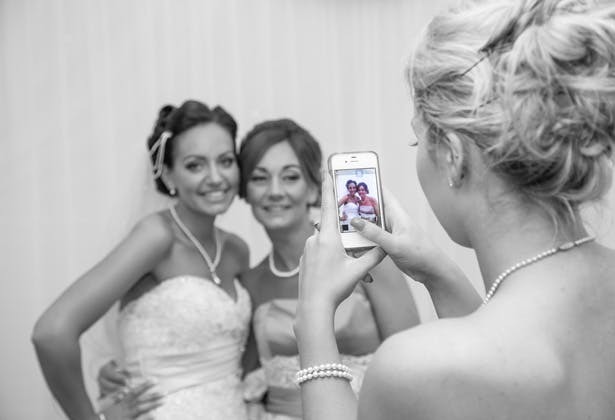 A beautiful photography idea is to include a mirror in your wedding photos. This can go in many ways. 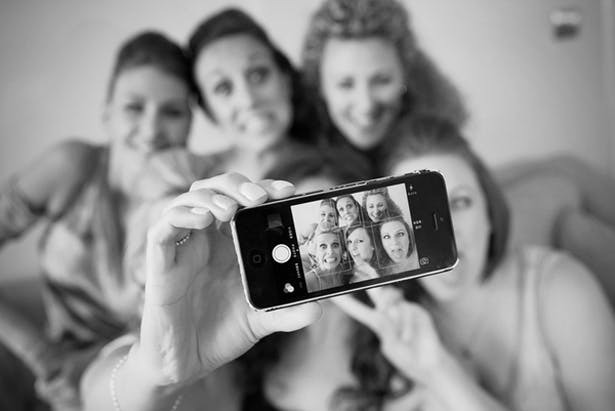 For example, take a photo with you and your bridesmaids in front of the mirror so that you get details of the front and back, or you could hold a mirror up to catch the reflection of your bridesmaids. Some of the most stunning wedding photographs focus on the details of a wedding—the flowers, the jewellery, the dress, etc. 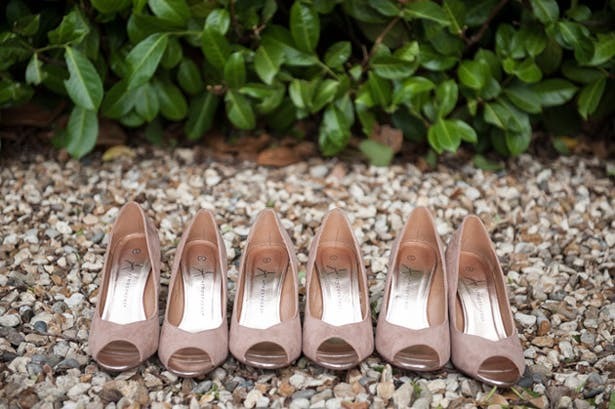 Therefore, ask your photographer to focus on some of the details of your bridesmaids. 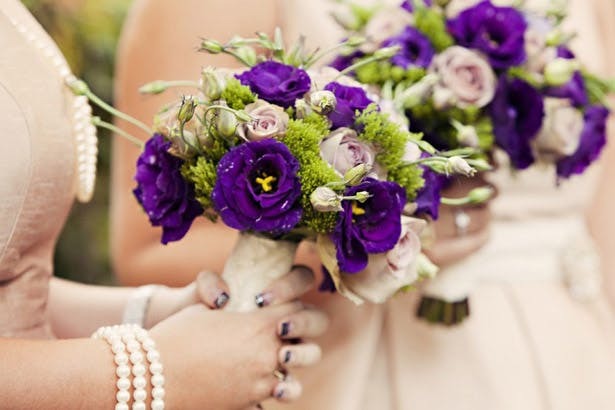 The photo below, for example, focuses on the bouquets that each of the bridesmaids carried. 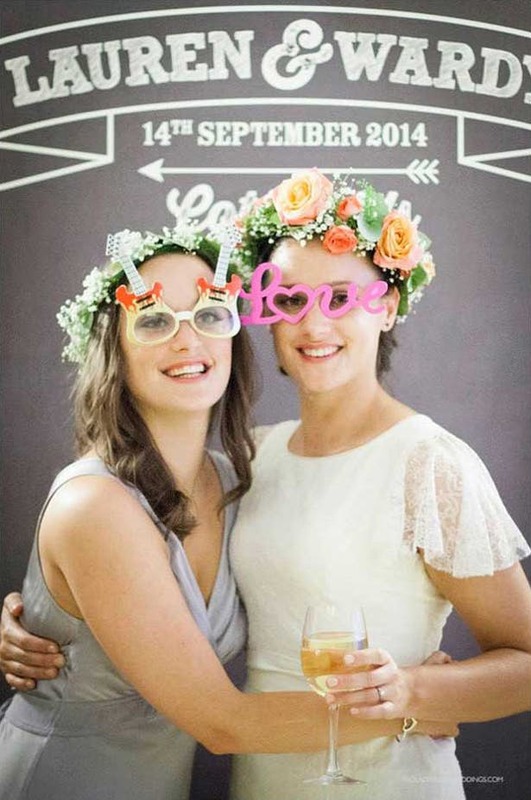 Props add some fun to your wedding photos; pose with your parasols, hand fans, wedding favours, bouquets…or even be a little bit silly with the photo booth props! 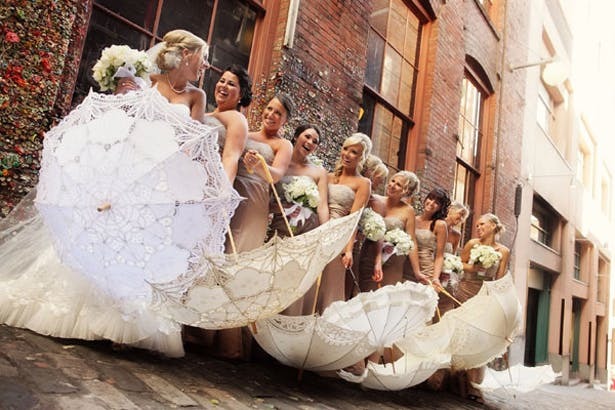 Courtesy of Azzura Photography—and if you love these parasols as much as we do, take a look at Confetti.co.uk’s beautiful Battenburg Lace Parasols! 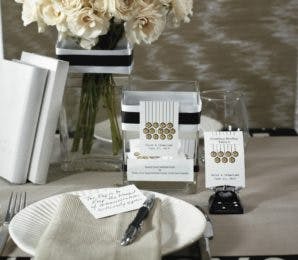 Your wedding photo album wouldn’t be complete without this—share a toast to friends and friendship with your bridesmaids during the wedding reception, and maybe even on the morning before the ceremony. 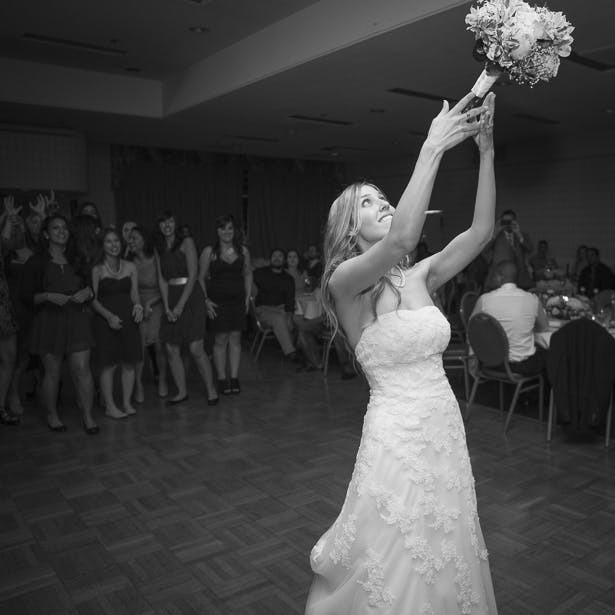 Tossing the bouquet is a tradition of many weddings, and it will be a wonderful memory to look back on. 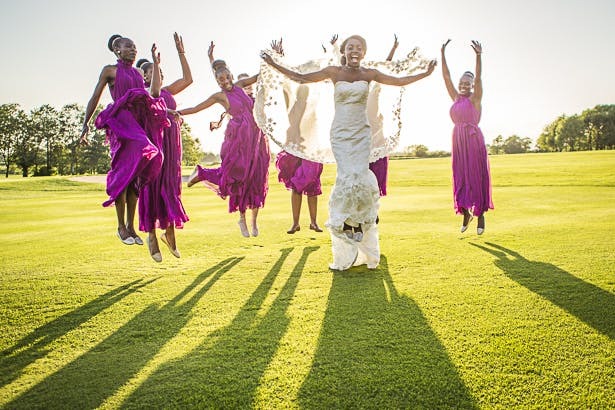 Even better if you have a photo to show your bridesmaids jumping to catch your bouquet! After the whirlwind of your wedding day, it’s lovely to catch a photo of your bridesmaids winding down and relaxing with friends. 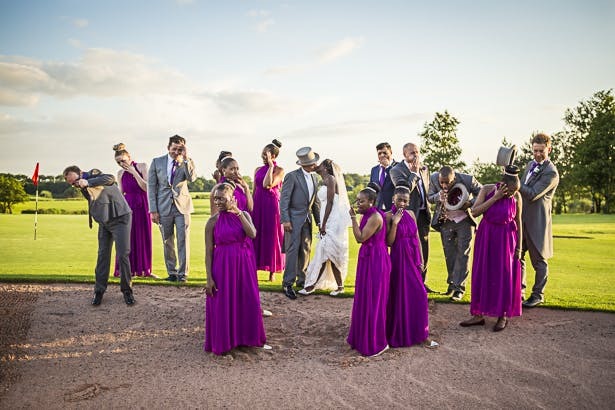 Natural photos of your bridesmaids having fun are always some of the best; they could be rocking it on the dance floor, taking part in an after-wedding game or activity—it doesn’t matter! Bright eyes, rosy cheeks and wide smiles are some of the greatest photos to treasure. Let your hair down and jump around a little! 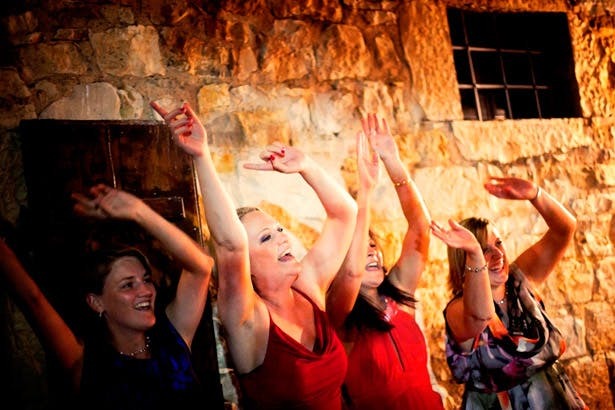 You’re allowed to be a little crazy after the high emotions of the wedding day. Photographs of genuine laughter are some of the most heart-warming photos your photographer will ever capture. 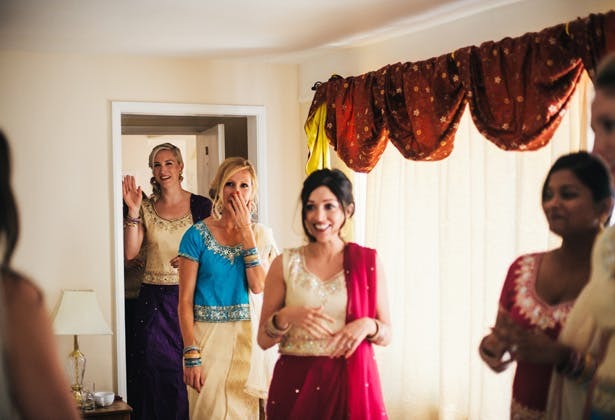 And, when you look back on them in years to come, the warm fuzzy feeling of seeing your happy bridesmaids will make you smile too. Photos of genuine tears can’t be planned unless you want to poke your sister in the eye (please don’t do this). 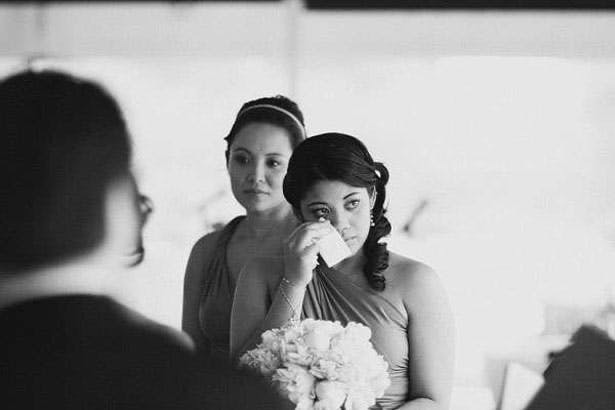 Weddings can be very emotional, and photos of real happy tears make for very organic, authentic photos. A photo within a photo is a wonderful, imaginative addition to your wedding album. 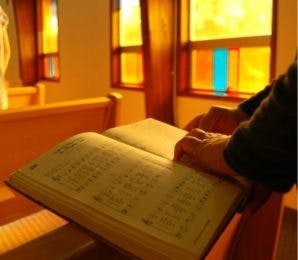 It gives the photo depth and intrigue, and it will make people look longer and harder at it. The selfie trend is a wonderful thing! Selfies make for quick and easy wedding photos and can be taken with pretty much anything at all—take a shot of you and your wedding dress on its hanger, one of you and your parents, even one in the wedding car on your way to the ceremony. Make sure you snap some of you and your bridesmaids too! Getting creative with your wedding photos can be a lot of fun. Just get your bridesmaids all together and have a blast! Long exposure photography creates a truly unique and beautiful effect. 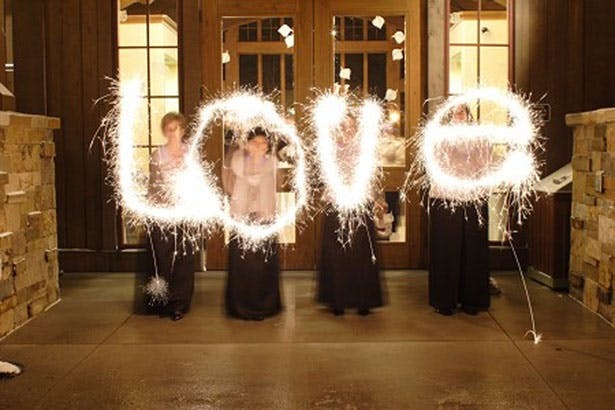 There are so many ways to make it work—use sparklers to draw in the air, catch the sun as it sets, snap the fireworks bursting overhead, and have your bridesmaids next to you for the experience. 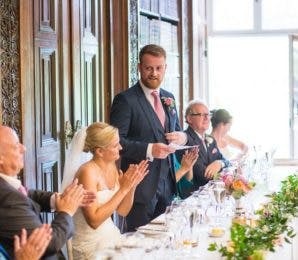 For more on wedding photography, browse our wedding photography inspiration page which includes our articles on How to Look Good in Wedding Photos and 10 Tips For the Best Wedding Photographs!